It will be a drum I beat until the day I die. The topic I return to over and over again. Our personal QUIET TIME with God must be our first priority. Because when we become better it is only because we are becoming more like Jesus. And when we are becoming more like Jesus it is because we have spent time with Him. There is only ONE place where we can find our peace. There is only ONE way to settle our souls. That is by spending time with Him. We can ALL struggle to make our quiet time with God a priority. But to make it through the struggles in life we NEED to find our strength in Him. Like Martin Luther says, “I have so much to do that I shall spend the first three hours in prayer.” YES! He got it! I want to have that same fervor and sentiment running through my veins and driving me to Him every single day. Now, if you’re anything like me, I can find myself a bit lost in the midst of the 1,247 books and Bibles I want to read all at once. My love for organization (or should I say my lack OF organization) and my need for consistent quiet time made my special prayer box that you see pictured all over this post, stand out to me. Not only is it beautiful, but keeping all of my quiet time tools together helps me be more intentional. My prayer box is from a company I discovered over a year ago. It is a company that stands out amongst the rest in my mind. With a unique idea and a compelling mission Rad Joy won me over. 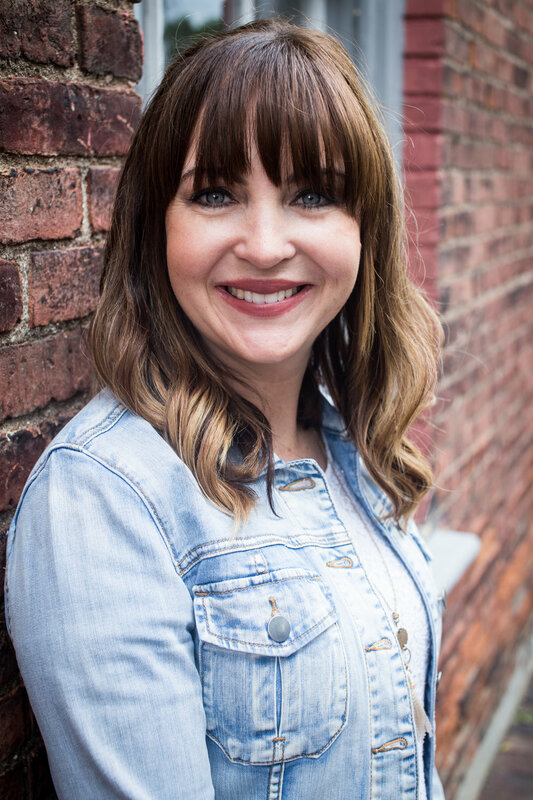 Their mission is to create beautiful and purpose-filled Christian products that help others radically deepen their faith as they joyfully walk with the Lord. My friend Jackie and her husband started Rad-Joy after he lost his job several years ago. It was a huge leap of faith for them and they found themselves turning to God over and over again in surrender. Their personal lives spoke to the products they created and continue to create. My prayer box is actually called a RAD Box. You will also see The Surrender Cross pictured over and over. 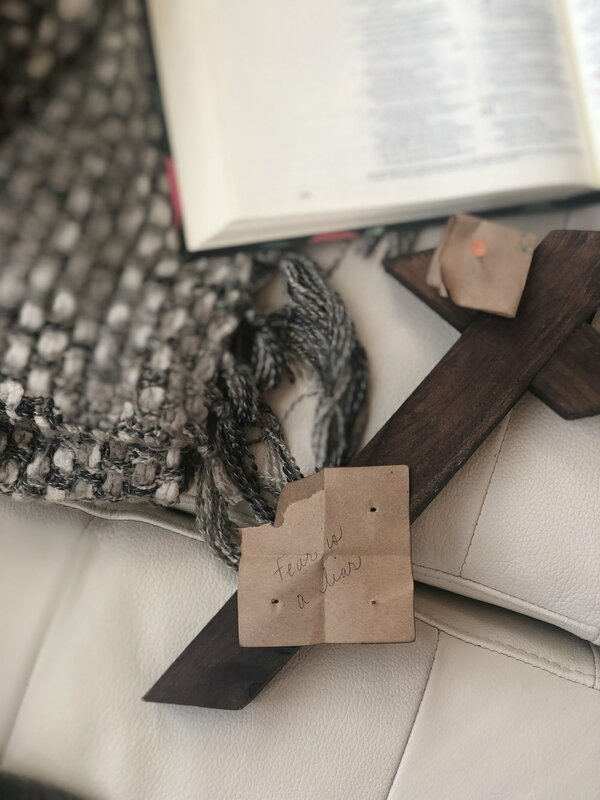 Each and every box and cross is handmade and unique.The Surrender Cross (pictured a few pics above) is a beautiful way to bring your daily struggles to Him, releasing them as you write them down and nail them to the cross. They carry products for the entire family, with smaller boxes for children and prayer cards. Jackie also shared with me a beautiful way that they use the Surrender Cross as a family. They have their kids write down different words on a sheet of paper and blindly choose one to pray over and nail to the cross. When the prayers are answered they take them down from the cross and put them in a Faithfulness Jar. Here are ideas from Rad-Joy for what you can put in your RAD box! Here are a few ideas from Rad-joy on where you can put your box! Rad Boxes and Rad Joy products also make meaningful gifts for your children, friends and family. You can check out all they have to offer HERE and find great deals posted often on their Instagram. Our quiet times don’t have to be complicated. In fact, the simpler the better. So I encourage you to grab your Bible, journal and a simple devotional and just begin. Begin with just ten minutes a day reading, learning and praying. Living faithfully devoted to God is an intentional day by day surrendering to, learning from and growing in Him. Disclosure: This is a review post in partnership with Rad Joy. All opinions are 100% my own.